Located at the foot of Mt. 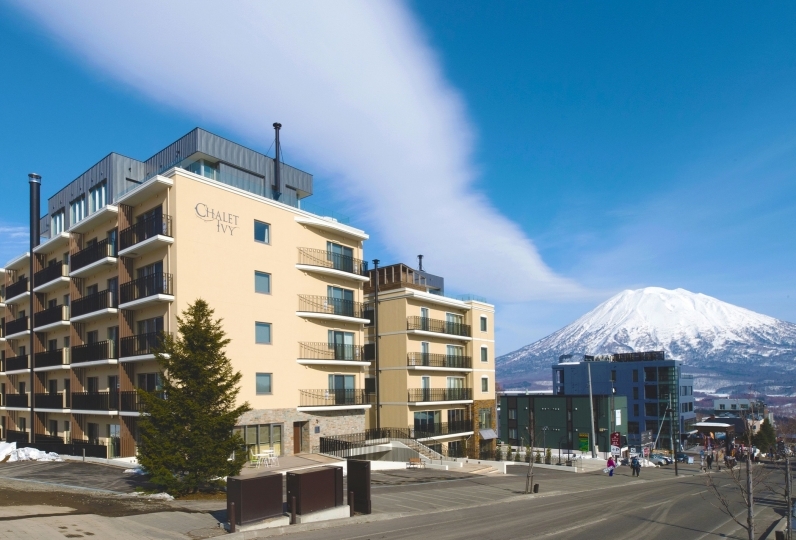 Yotei, one of 100 gorgeous peaks of Japan, is "Mokunosho", a prominent inn known for its hot spring of Niseko. 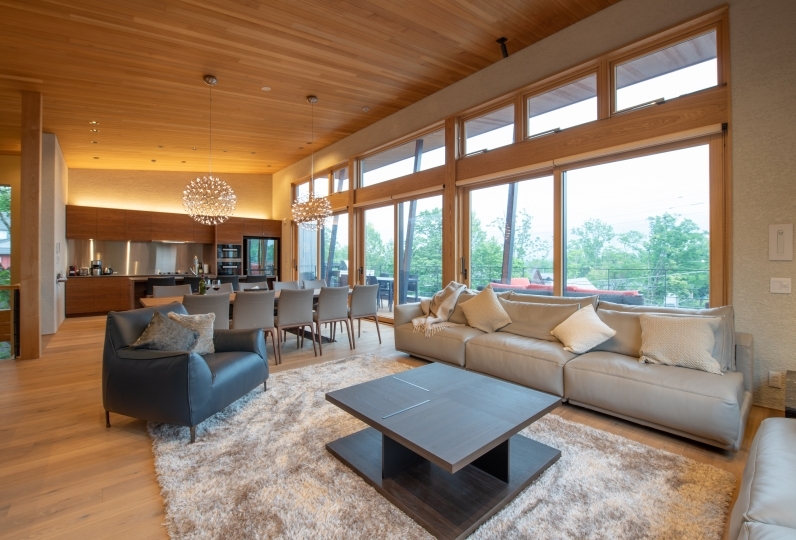 Feeling the warmth and the fragility of woods, guests can anticipate the moment the tranquility falling upon them. Based on wood as a general motif, our guest room consists of a tatami mat room that is perfect for casually lying down and relaxing, and an open air bath made of cypress wood gives a faint aroma as you soak in the tub. 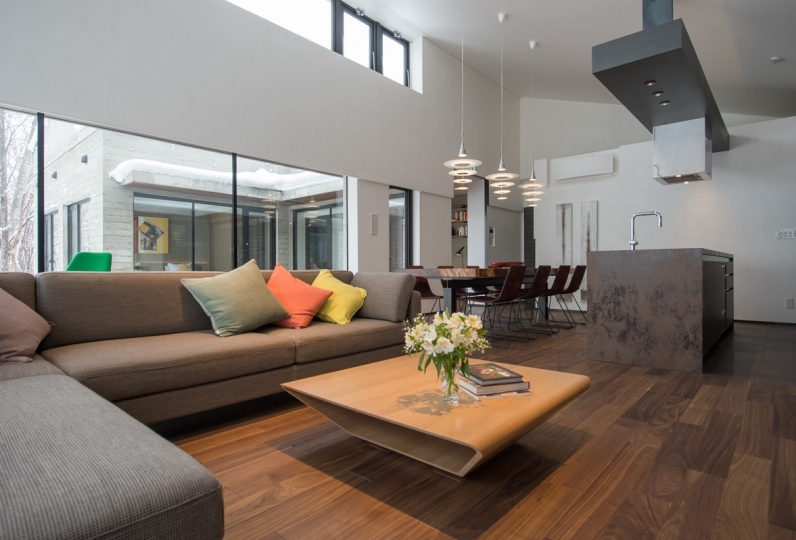 The guest room made of natural materials give an open feeling as it gently wraps us with the warmth and calmness of Niseko. 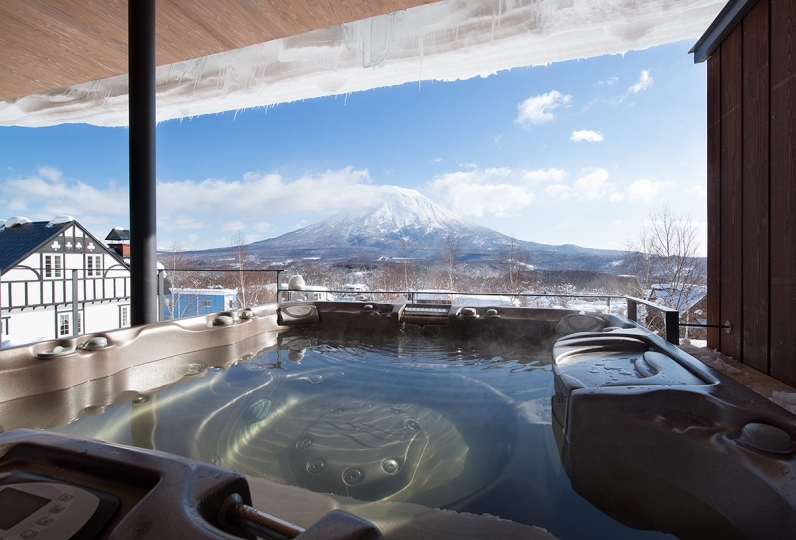 The culture and its history acknowledges Niseko as one of the prestigious hot spring locations. You'll find yourself sighing in relief as you soak your body in such wonderful hot spring. Guests will certainly smile to the exquisite dishes prepared using abundance of fine ingredients of Hokkaido not to mention the dairy products of Niseko, the largest dairy producing region of Hokkaido. An outdoor deck, a foot bath, and a space to enjoy music are all there for guests to savor the moment away from home. 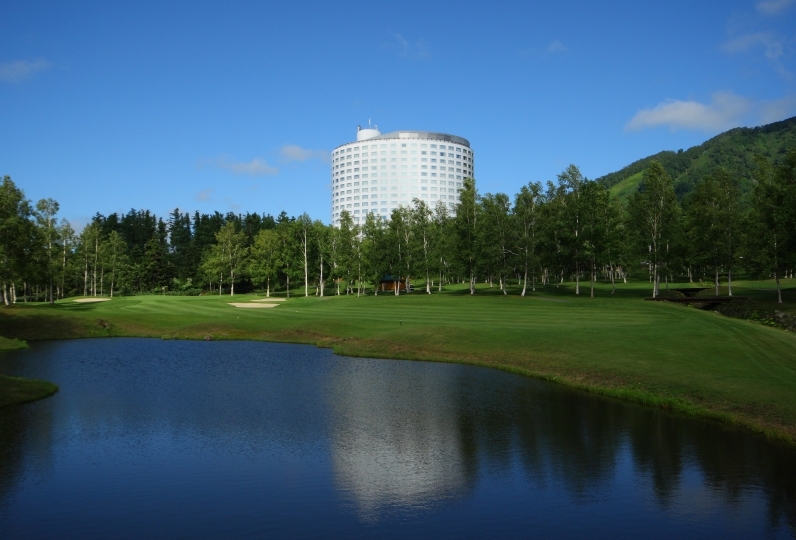 Enjoy Niseko, a place filled with peace and tranquility. It will be my second stay this time, but before that meal was a private room. This time it was a large meal in the large room, among them there were couple taking pictures with indoor pictures and indoor shooting other than cooking, it was not very pleasant. I am indebted to my family traveling to commemorate my husband's 60th calendar. Both facility and customer service made a great satisfying night. Especially, the meal was the best, the creativity was high, I enjoyed both the eyes and the tongue. I am grateful for your consideration as a celebration of my husband's 60th birthday. Thank you very much. I used it on a trip inside the wedding ceremony. I got a delicate attentive and became an unforgettable journey. The meal cooked things of the fresh ground carefully, and the timing of arrangement was exquisite and the best dinner was given. I definitely want to ask again. 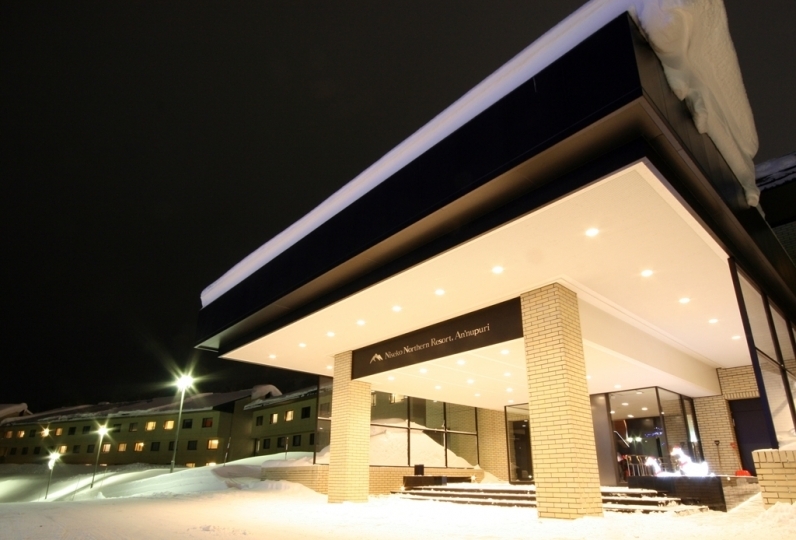 We serve the specialties of Niseko. Please savor the taste of our fine dishes and enjoy the four seasons that we embody. Our ingredients are gathered from natural sources to make a feast for your eyes as well as your stomach. *There are several meal grades. For details, please confirm with your chosen plan's details. The hot spring water comes from Konbu onsen. The extremely unique water quality can only be enjoyed here. Its soothing water leaves your skin smooth and soft. ◆Private hot spring bath "Wasen no Yu"
Enjoy a hot spring bath with someone special in a strictly private setting. 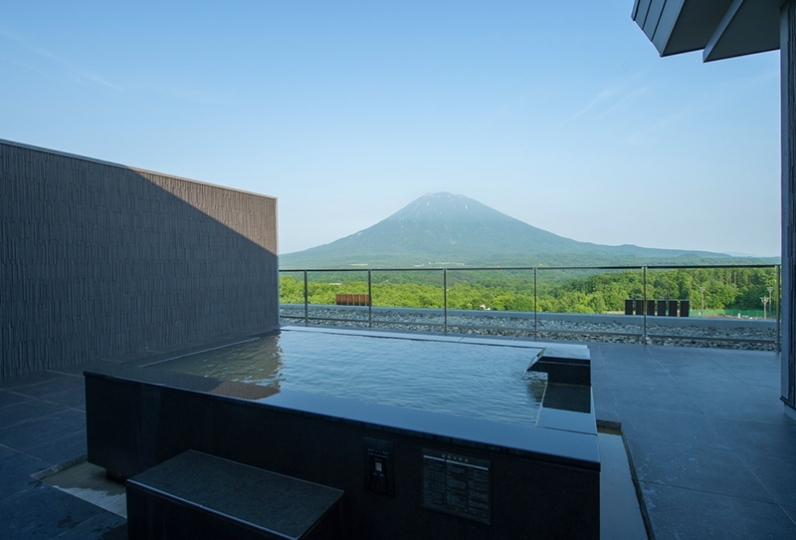 Guests can enjoy a splendid view of the woods and Niseko Anbetsu River as they soak in a bath reserved exclusively for them. - Room service is available between 3:00pm〜11:00pm. - All rooms in the building are equipped with free internet. ◆The hot spring tax of 150 yen is not included.